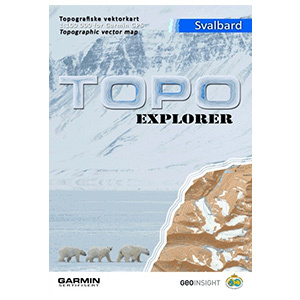 Explore the Svalbard islands with these detailed topographic maps, including glaciers, moraines, coastlines and lakes. You'll also have coverage of national park borders, conservation areas and nature reserves. The file size of this download and space required on device or microSD™/SD™ card is 65 MB. If this download does not fit on your device, data may be saved on a microSD/SD card (Recycled microSD cards may be used to program map data). 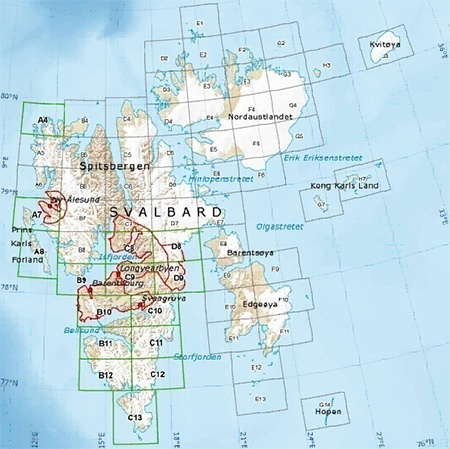 Features digital topographic maps for common and allowed travel areas in Svalbard.